Dr. Terrie Taylor holding a Malawi child. The Blantyre Malaria Project (BMP), one of four research affiliates embedded in the University of Malawi College of Medicine, was established by Michigan State University’s Dr. Terrie Taylor and Professor Malcolm Molyneux of the Liverpool School of Tropical Medicine in 1986. One child dies of cerebral malaria every minute --- over the course of a year, 750,000 children succumb to this complication of infection with the malaria parasite, P. falciparum Even in research unites with excellent clinical care. such as the Paediatric Research Ward at the Queen Elizabeth Central Hospital, the Project’s hospital home, the mortality rate of children with cerebral malaria is 15%, and one third of survivors are left with neurological damage (epilepsy, behavioral problems, neuromuscular abnormalities).. The Malaria Project has enrolled over 3000 extremely ill children in its ongoing study of malaria pathogenesis since 1986; it has cared for thousands more on the Research Ward, as part of its partnership with the Department of Paediatrics and Child Health. The research output has contributed greatly to our understanding of how the malaria parasite wreaks havoc in its pediatric hosts. In addition, Dr. Taylor supervises elective medical students from the medical schools at Michigan State University. Each year between January and early May, 24 MSU students (3 groups of 8) from the Colleges of Osteopathic and Human Medicine spend six weeks working at Queen Elizabeth Central Hospital. 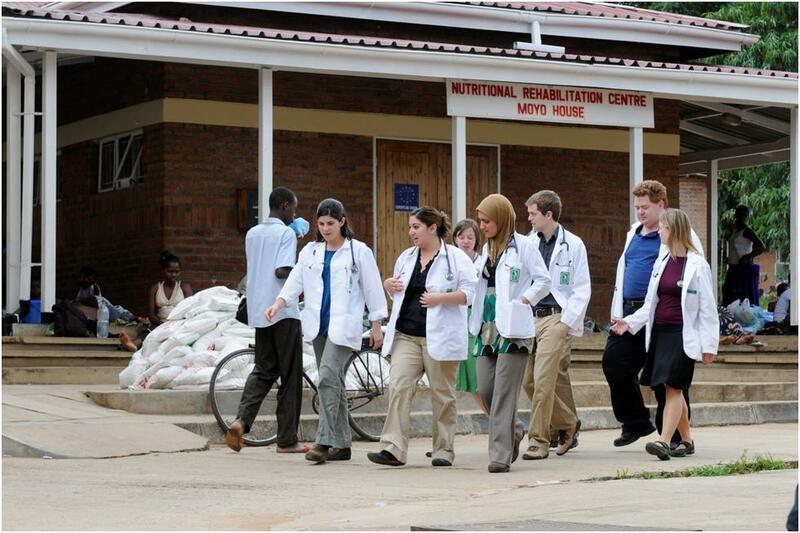 This capstone experience for the final year medical students has been enriching for them, and has been a source of volunteer energy on the wards at “Queens”, which is one of two teaching hospitals for the University of Malawi College of Medicine.